Last week, Tony Abbott embarked on his international tour of embarrassment. Not content to cause shame on the national stage, he is hell-bent on humiliating Australia in lands far and wide, following his lampooning on popular US TV show Last Week Tonight. Of all the catastrophic cringes inflicted on us in the mere days since he left our shores – calling Canada “Canadia”, using his D-Day speech to promote the Coalition’s rubbish economic policies (Open For Business blah blah blah), cancelling meetings with the world’s most powerful economic organisations, inspiring the trending Twitter hashtag #WhatAbbottWillSayToObama – it’s his climate-sceptic stance which is the greatest cause for shame. It is feared by many that the strong ties with our US ally are at risk over Abbott’s inaction on climate, particularly following the warm friendship Obama shared with Julia Gillard. Those in the Obama administration have publicly voiced their concern with our climate sceptic PM. According to Obama’s former chief climate adviser, Heather Zichal, ”I think everyone except the climate deniers are deeply concerned with the direction [Australia] is going”. How embarrassing that he has compared his pathetic Direct Action plan to the Obama administration’s historic plans to tackle climate change, which were unveiled last week. The latest in a long line of significant progress, Obama has always supported tough action on climate change and big polluters, but has struggled to get his emissions trading legislation past Republicans. Abbott on the other hand actively campaigned against the Carbon Tax and any emissions trading scheme for years, mocking it as the “non-delivery of an invisible substance”. Even The Australian thinks Abbott needs to act on climate in light of this strong action from the US. In February, Abbott announced that climate change would not be on the agenda for the annual G20 summit in Brisbane. He described climate change as an issue which would “clutter up” the schedule, squandering the chance to discuss real economic issues like free trade and reduced regulation. Clutter? The greatest political, environmental and economic crisis facing our generation is CLUTTER? Unlike Abbott, the remaining 19 members of the G20 take the economic ramifications of a more unstable climate seriously. They understand that climate change costs the national economy through failed agriculture, coastal erosion, sea level rise and extreme weather events. Even more importantly, they understand the more serious, global economic issues caused by climate change – food insecurity, mass migration, famine, political instability, disease – all of which have the potential to cause global economic instability. Abbott’s continued refusal to acknowledge any link between climate change and the impacts of extreme weather unfolding in Australia is simply shocking. The east coast of Australia just experienced its hottest May on record, registering a scary 8 degrees above normal on May 25th. Huge areas of agricultural land in NSW and QLD have been without significant rainfall for over a year, and the government must now fork out millions to support farmers in these drought-stricken lands. We’ve seen more extreme weather events, from drought to storms to floods. What shame when Abbott derided UN Climate Chief Christiana Figueres as “talking through her hat”, for suggesting a link between our ferocious spring bushfires and climate change. On his travels, Abbott seems to have found a soul mate in his ultra conservative Canadian twin, Stephen Harper. Harper’s government has embarked on a similar path to the Coalition – campaigning against a carbon tax, gutting environmental funding, jumping into bed with the fossil fuel industry, and being ‘Open For Business’. Under Harper, Canada became the only country to withdraw from the Kyoto protocol due to the huge influence of their fossil fuel industry. If Abbott has his way, Australia will be the only country to abolish an emissions trading scheme. Soul mates indeed. 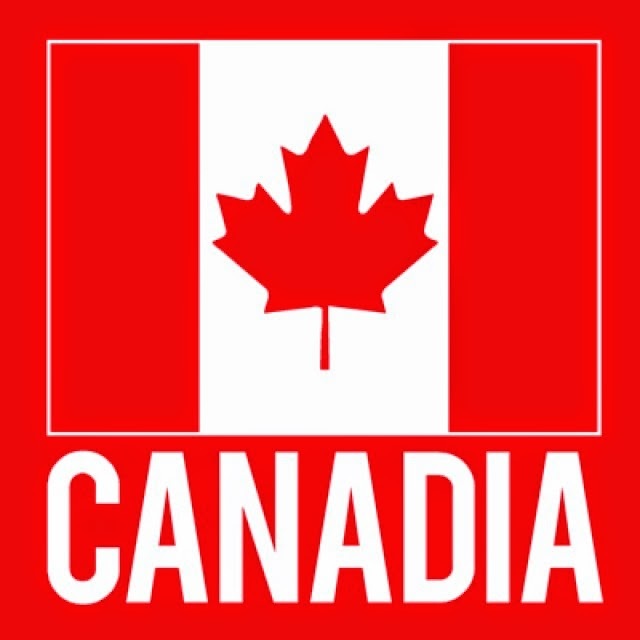 Go Canadia! 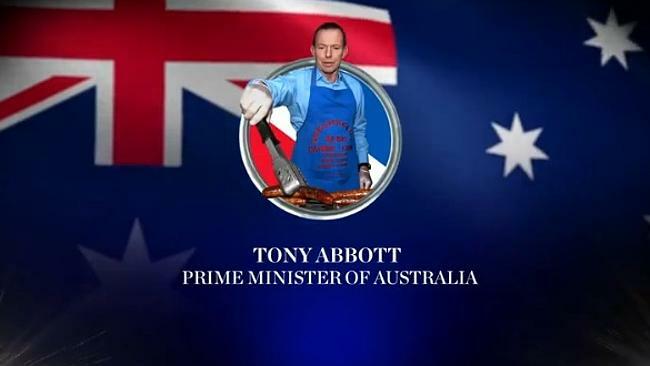 Meanwhile, the gaffes keep rolling in, and Buzzfeed have even created an ode to the embarrassment that is Tony Abbott. Hilarious as it is, every time Abbott opens his mouth Australia loses credibility on the world stage. Far from building his international reputation, Abbott’s diplomatic tour is showing just how out of step he is with the rest of the world.